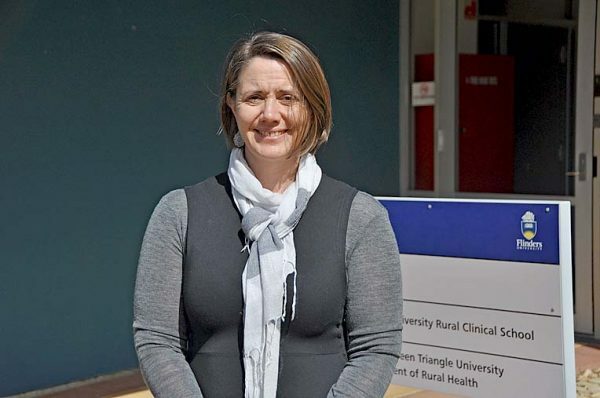 MORE than 300 health professionals have arrived in the Blue Lake city for The Muster – an international conference hosted by Flinders University and the Northern Ontario School of Medicine. The Muster started yesterday and continues until Thursday at venues across the city and will be the sixth in a series of biannual conferences bringing together a global audience to explore and discuss social accountability in health training and rural medical education. World renowned speakers will empower communities to improve their health and patient care by exploring four key themes – people and communities, integrated training, culture and wellbeing and rural workforce. The four-day conference will be co-chaired by Dr Leesa Walker of Flinders University and Dr Deborah Smith of Northern Ontario School of Medicine. “We have 307 registrations and counting, which we are really happy with,” Ms Walker told The Border Watch. “People are coming from all over the world – the dean of a medical school in the Congo, quite a few from the United States, the UK and Canada, a big contingent from Thailand and people from Sudan and Iceland. Ms Walker – who co-chaired The Muster when it was held in Canada in 2016 – said over 200 abstracts would be presented in simultaneous podium presentations, workshops and personally arranged learning sessions. “Part of the conference is really about socially accountable medical education to ensure we are producing medical graduates who will have the skills our communities need,” she said. “The last conference in Australia was held at Uluru – it is a really exciting coup for the region to have The Muster here. Presentations and workshops will be held at several venues, including the Sir Robert Helpmann Theatre, The Main Corner, Mount Gambier Library, Mac’s Hotel and the Mount Gambier Hotel. “We are trying to involve the community as much as we can and a number of community members will come in to help chair and time sessions,” Ms Walker said. Abstracts have been received from every continent in the world except Antartica and more than 300 educators, researchers, students and healthcare practitioners will arrive in Mount Gambier this week.